“Who sings and reads everyday to you?” is another line from the “Who Loves You Baby” cloth book. A friend of mine, who works as a teacher/librarian, stressed the importance of these two activities when she came to visit me and our newborn. Make sure you read and sing to him everyday, she said. Mem Fox (my favourite children’s author) says the same thing. As does Ten Minutes a Day. 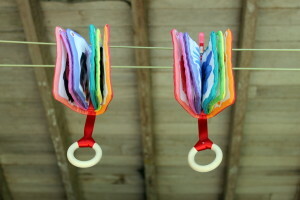 It’s also important for babies and children to see YOU read regularly. If like hubby you’re not a book reader, don’t fret pet! Reading magazines/newspaper still counts as reading. Buy the “Who Loves You Baby” cloth book from Etsy or make-it-yourself and buy the fat quarter from Spoonflower. 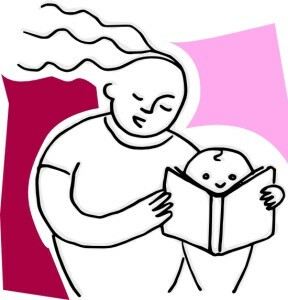 Who carries you around… It’s a FACT – Babies EAT books!